If you’ve visited Figuring History: Robert Colescott, Kerry James Marshall, Mickalene Thomas you’re probably as enamored as we are with the larger-than-life paintings hanging in our galleries right now. This month, we’re putting the spotlight on Mickalene Thomas! Learn more about the woman behind the bright patterns, bold colors, and rhinestones with 10 surprising facts about the artist. 1. She painted First Lady Michelle Obama’s first individual portrait in 2008; the painting, titled Michelle O, subsequently went on view at the National Portrait Gallery. 2. Thomas’ mother Sandra Bush, was a fashion model and influenced her aesthetic. 3. In 2011, she participated in an artist’s residency at Monet’s home in Giverny, France. 4. Growing up in the 1970s, Thomas drew inspiration from the bright colors and patterns from her childhood in her art. 5. Her first short-film, Happy Birthday to a Beautiful Woman: A Portrait of My Mother, was about her mother. 6. 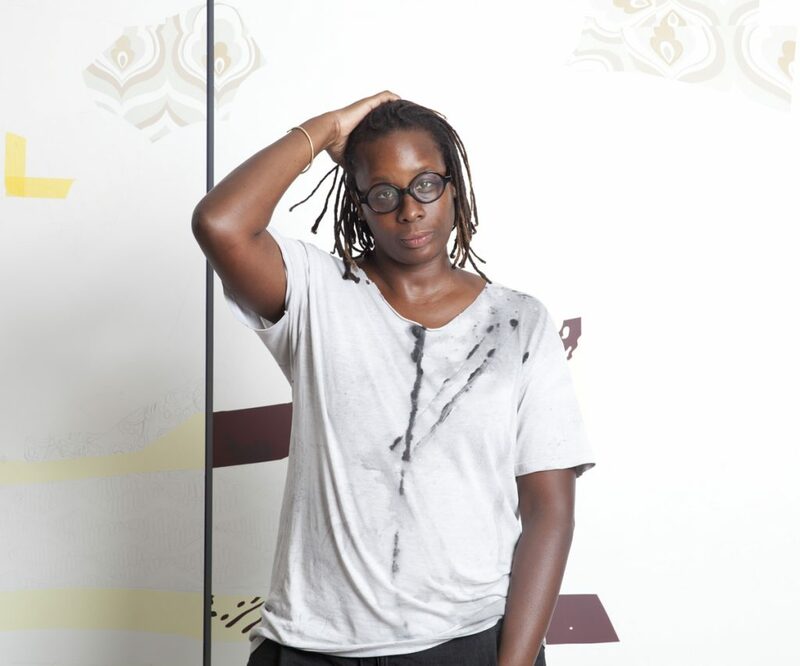 Fellow artist Kehinde Wiley painted Mickalene Thomas’ portrait for his painting series Trickster. 7. Thomas did a number of odd jobs to support herself in her 20s including fashion modeling. 8. Mickalene Thomas originally pursued a career in law. 9. Thomas ended up getting a BFA in painting at Pratt in Brooklyn and her MFA at Yale. 10. Her commissioned portrait of Solange Knowles was used for the cover of the R&B singer’s 2013 EP True. If you haven’t visited Figuring History yet, see Thomas’ work through Sunday May 13!